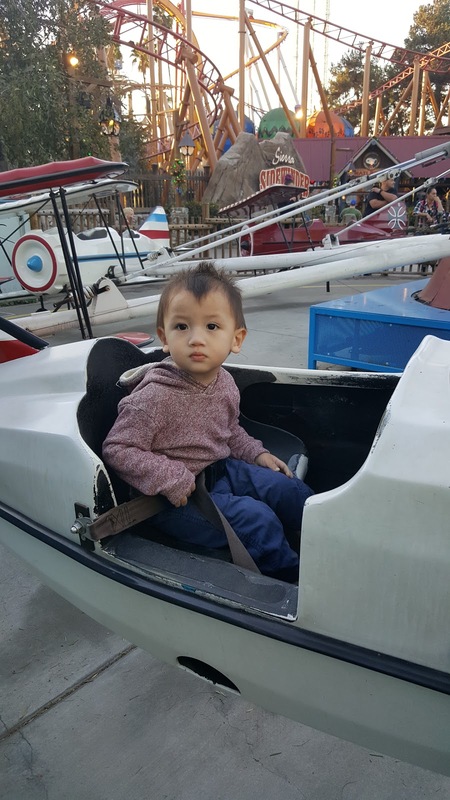 In Southern California, Knott’s lives in the shadows of the bigger and pricier experience at the Disneyland resort but during the holidays, Knott’s Merry Farm is an affordable amusement park experience with smaller crowds and more old fashioned holiday spirit and one would expect. Visitors should get the highlight of the Knott’s dining experience right up front by having breakfast at the recently remodeled Mrs. Knott’s Chicken Dinner Restaurant for breakfast. It doesn’t matter how eggs are prepared or what kind of meat you opt for, the unlimited biscuits and Knott’s Boysenberry Jam is the star of the show. Upon entering, take some pictures in Camp Snoopy where the usual photo spot next to the plane ride is given a distinctly holiday makeover. It’s also where you’ll find a number of the Peanuts gang greeting visitors and posing for pictures. My kids particularly enjoyed the oversized armchair that was big enough for a few siblings to look teeny tiny. Knott’s Merry Farm is a very tasteful event with a vintage feel and offers quite a very classic and adult driven entertainment from productions of “The Gift of the Magi,” and “A Christmas Carol” on select dates. No holiday celebration is complete without a variety of limited edition seasonal foods. Christmas Pizza, a whole Christmas meal of turkey, stuffing, gravy and cranberry sauce on a pizza, obviously, is the must have of this year’s menu. New dishes include handmade chicken and beef tamales, honoring the latino cultural aspects of the park’s California theme. The usual treats like cookies, chocolate dipped cheesecake on a stick, specialty churros are all available. Surprisingly, Knott’s also serves craft beers and hot spiced holiday wine, making grown up spirits bright. The best part of Knott’s Merry Farm, however, has to be the Christmas Crafts Village where shoppers can find one of a kind gifts, a world of special ornaments and handcrafted artisan goods alongside western themed craftsman works of art. Especially nice for the educationally driven families, many wooden and open ended toys are available in the toy areas. 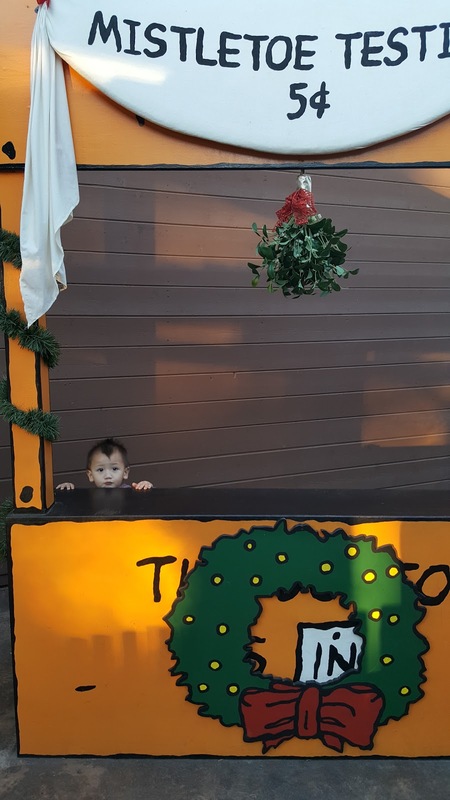 Before 5pm, families should head over to the Calico stage where carolers sing classic Christmas songs and down the street at 5pm, the Snow and Glow takes place, filling the streets of the village with snow. 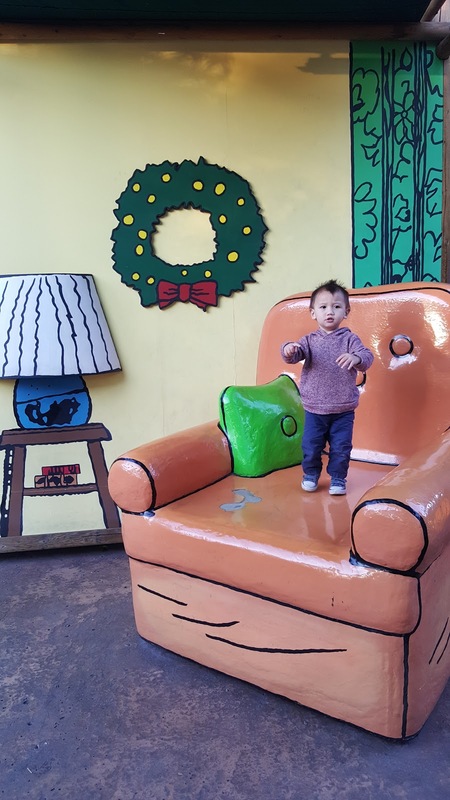 For those who want to stop in to visit with Santa, Santa’s Christmas Cabin is open for kids to share their wish lists and pose for the annual requisite picture with Old St. Nick himself. Tickets to Knott’s Merry Farm start at $49. Discounts are also available for Veterans, Law Enforcement and Firemen.